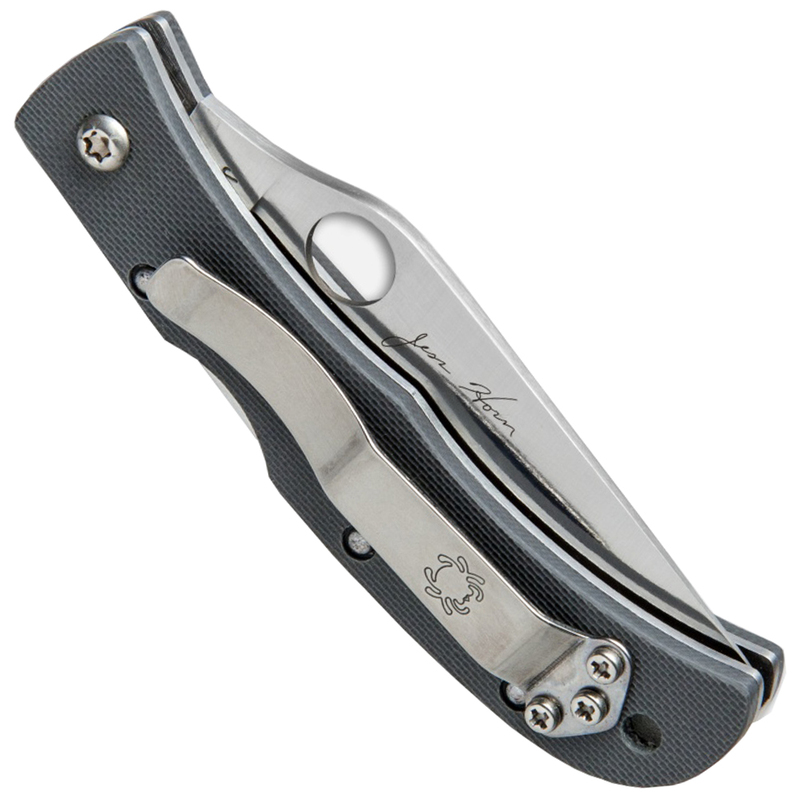 Jess Horn was a true pioneer of modern custom knifemaking and the man directly responsible for inspiring Spyderco’s founders to produce high-quality folding knives. 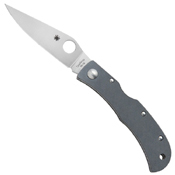 Of the three models Horn designed for Spyderco, the most unique was the CX08 model—one of Spyderco's rare "experimental" designs. Although it was never brought into full-scale production, the "Baby Horn" was manufactured in limited quantities for A.G. Russell in the late 1990’s. 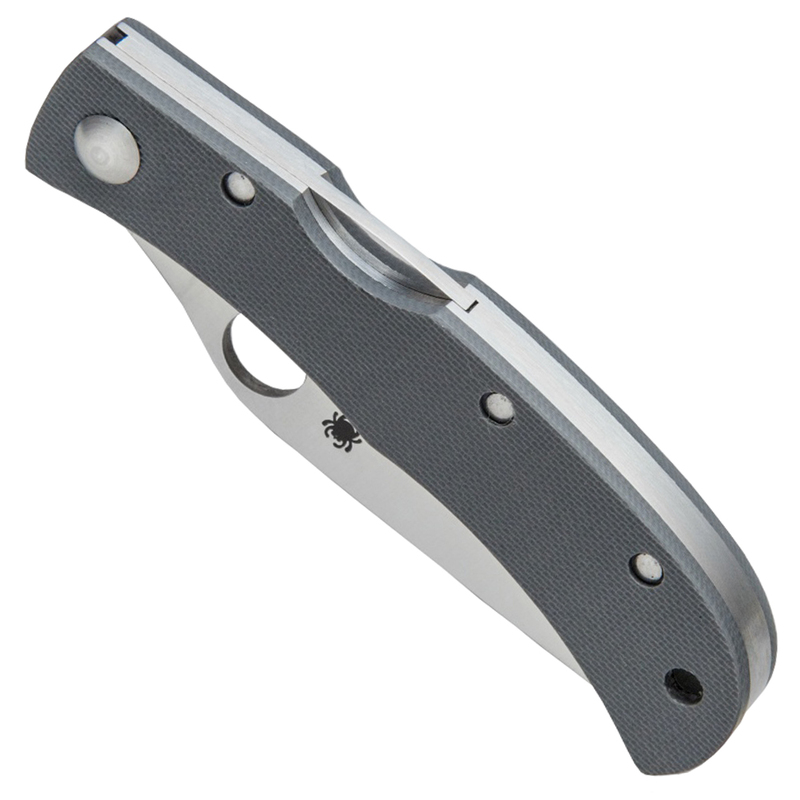 This limited edition Sprint Run revives that extremely rare model, but with a distinctive, one-of-a-kind selection of premium materials, including a full-flat-ground VG-10 stainless steel blade, dark gray textured G-10 scales, and a classic straight stainless pocket clip configured for right-side tip-up carry.